Hip, hip HOORAY — it’s S’mores Saturday! 🙂 Alright, that was cheesy, but I really do love this series. Any excuse to make s’mores recipes regularly is a pretty great thing in my mind!! (Oh yeah, and HAPPY 4th OF JULY!) 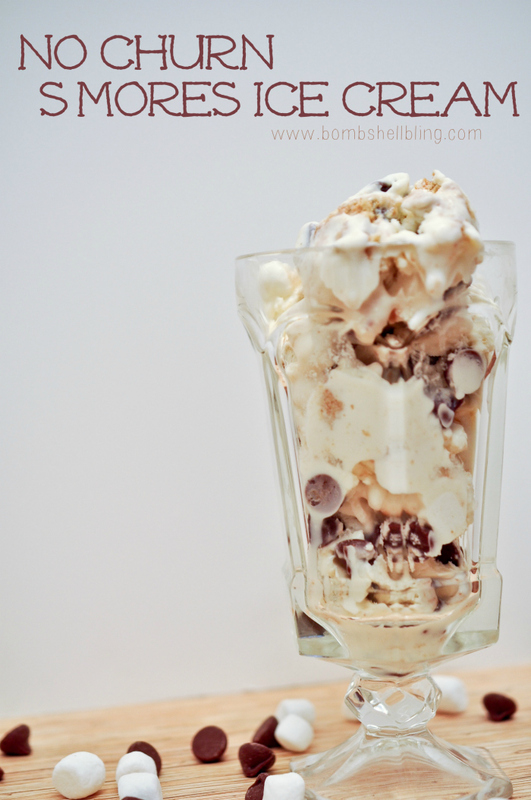 Today I’m sharing with you No Churn S’mores Ice Cream. 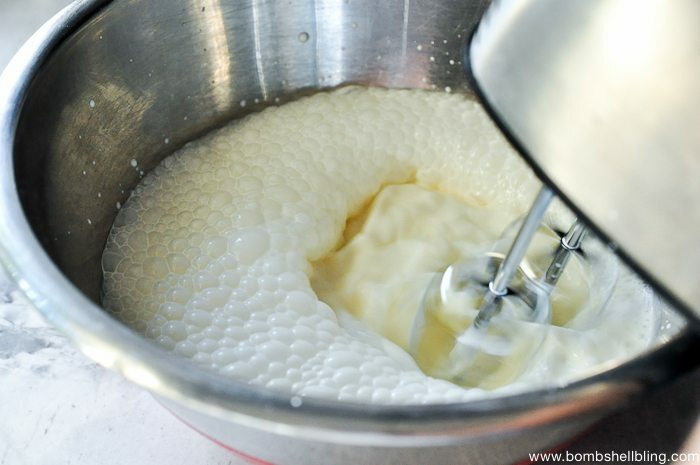 It only uses FIVE ingredients and it’s super simple to make. My kiddos and I made it together and then they made a huge mess gobbling it up the next day after it had frozen completely. Yum! 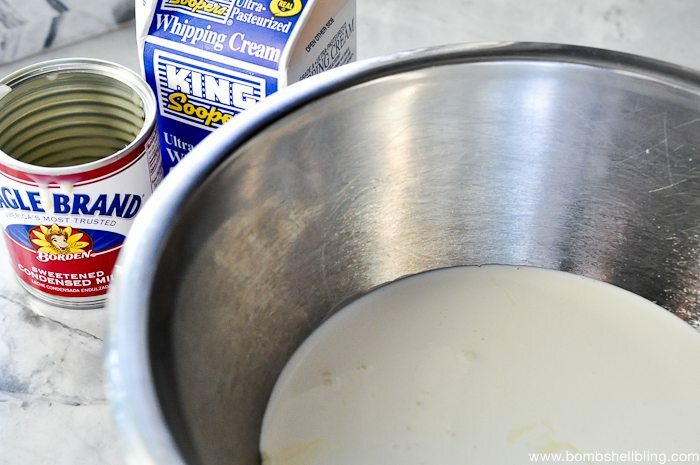 Gather your ingredients and pour the whipping cream and sweetened condensed milk into a bowl. This recipe is simple enough for a little on dressed up as a dragon to help with, which I love! 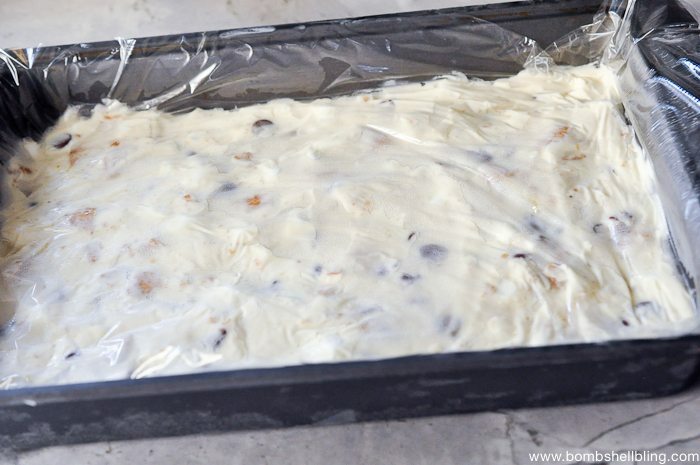 Scoop the mixture into a pan, cover with cellophane, and allow to freeze completely. I left mine overnight. 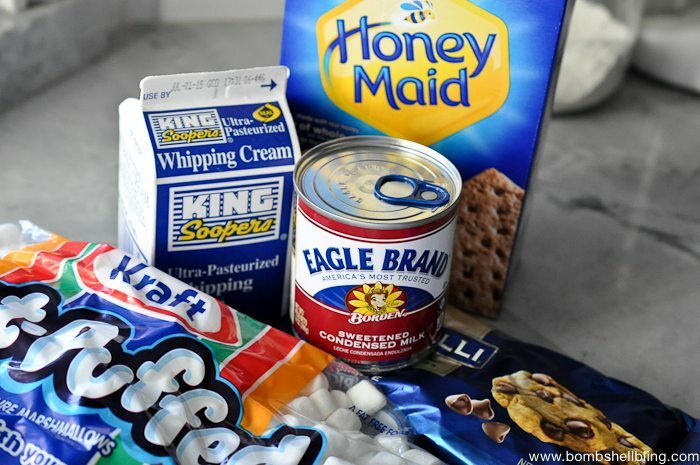 I hope that you enjoy this simple recipe for a summery s’mores treat! 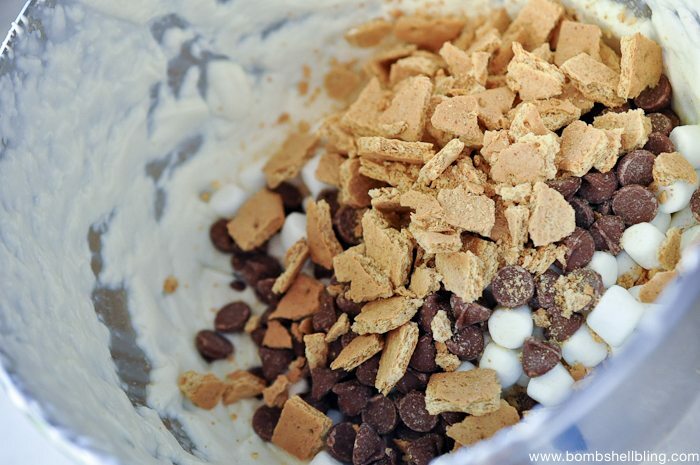 Be sure to check out the rest of the S’mores Saturdays recipes by clicking on the image below! 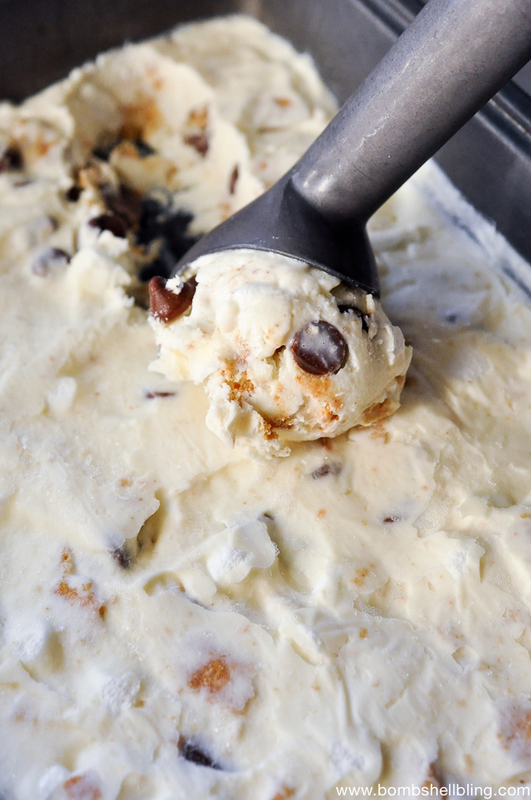 I love no churn ice cream – easy and delicious! Thanks for sharing at the What’s for Dinner party! 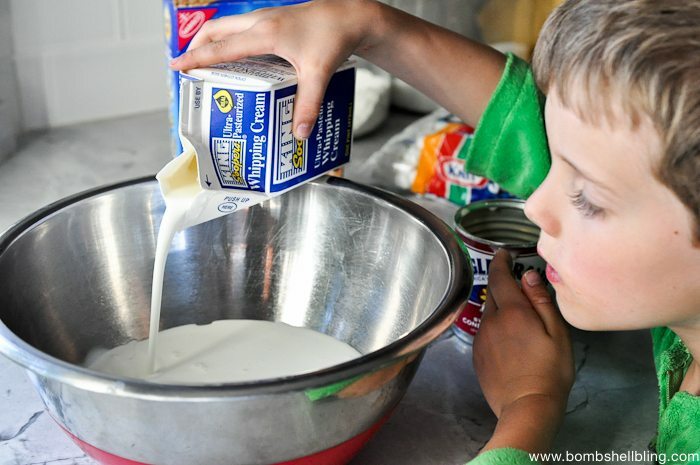 What a fun recipe to try with the kids this summer!!! 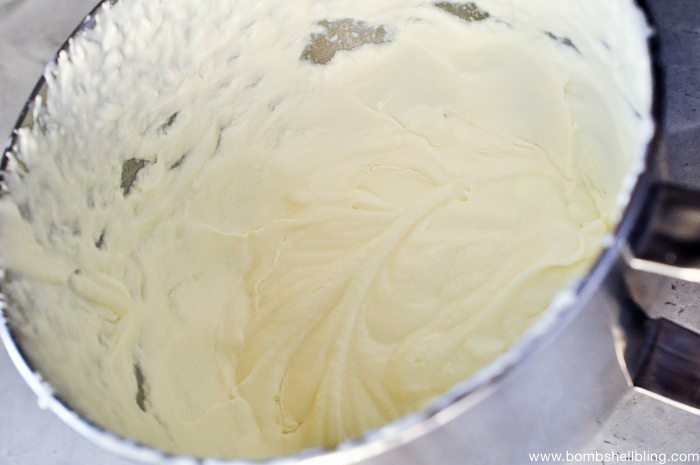 I find so many ice cream recipes, but I don’t have an ice cream maker. This is perfect. Can’t wait to try it! 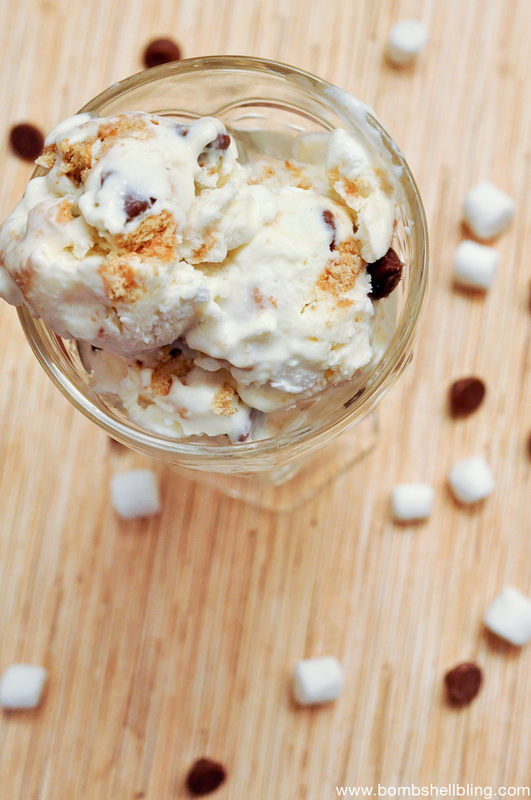 Yummy, s’mores ice cream sounds like the perfect way to cool off this summer. 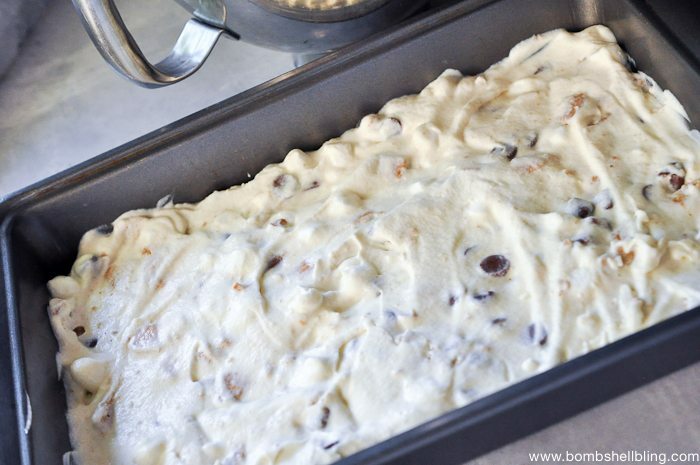 Thanks for sharing your recipe at the #HomeMattersParty this week. What a perfect recipe for the hot summer. Instead of hot s’mores, make it cold. Love it! 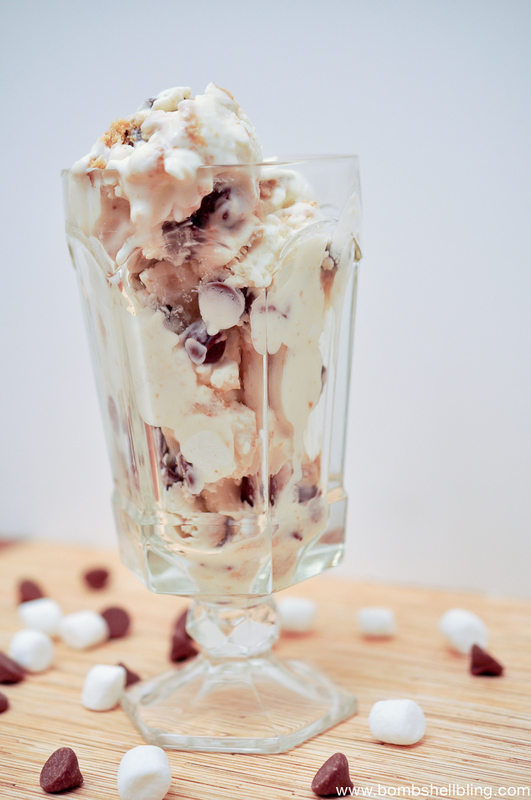 Will be including this in an ice cream round-up on Merry Monday. Thanks for sharing!